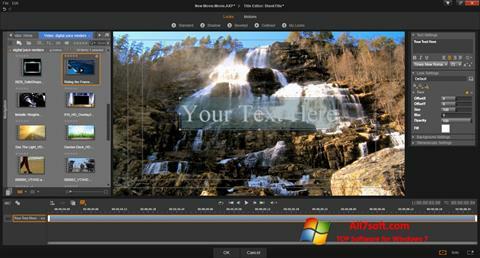 Pinnacle Studio for Windows 7 - A functional editor for non-linear video editing. The utility has a simple graphical interface, contains an extensive database of transition effects, supports the integration of plug-ins and add-ons, includes detailed help and a system of text prompts. The program allows you to create smooth transitions between movie clips, add an unlimited number of audio tracks, subtitles or other graphic elements, supports Dolby Digital sound and Avid technology. The editor is able to burn the finished projects on Blu-Ray discs and convert clips for later uploading to YouTube. You can free download Pinnacle Studio official latest version for Windows 7 in English.